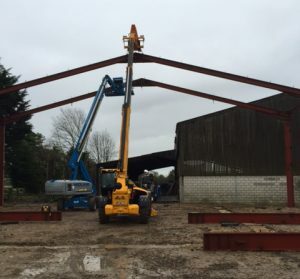 Coming from the agricultural heartland of Herefordshire, with the Vale of Evesham in Worcestershire nearby, we have years of experience in constructing all sorts of units for the farming sector. We offer barns of all sizes be it for livestock or machinery, packhouses, juice plants, biomass boiler rooms to name but a few of our recent projects. 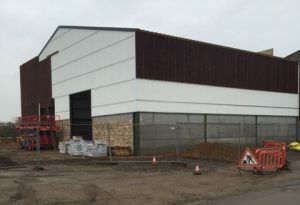 We can also help assist in the construction of buildings within a farm shop. We have installed a butchery counter with chiller within a farm shop as well as creating smaller food safe rooms within existing farm buildings for cheese and cake producers. Please see some pictures of our work alongside.